KATHMANDU, April 25: With the renewal of the operation licenses by Tourism Ministry defunct Gorkha Airlines and Dynamic Airlines are set to make comeback in Nepali sky this year. 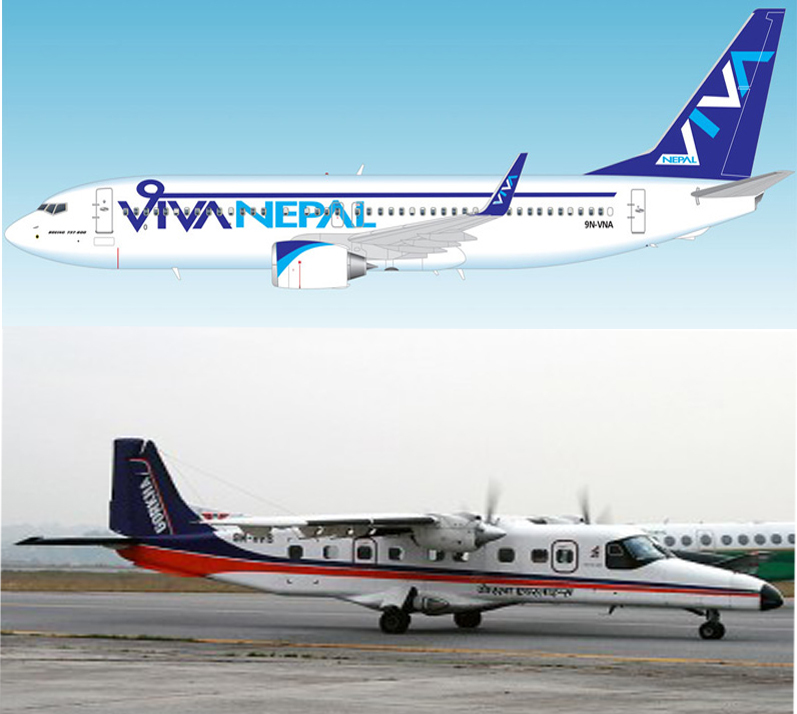 Dynamic Airlines will be resuming operations in a new avatar as Viva Nepal Airways and will serve international destinations. Gorkha will stick to domestic sectors. The two resurrected carriers still have to obtain a no-objection letter from the Civil Aviation Authority of Nepal (Caan) which might take three to five months, said a Tourism Ministry official. Once they receive the paperwork, they will be allowed to bring in planes. Airlines have to complete a stringent five-stage certification process to obtain an Air Operator Certificate (AOC) from the aviation regulator. Viva has been allotted five sectors—Delhi, Doha, Dubai, Kuala Lumpur and Dhaka. It plans to procure four Boeing 737-800 aircraft and two ATR 72-500, as per the airline’s proposal submitted to the ministry. The carrier said that two Boeings and the two ATRs would be brought on a full purchase basis while two Boeings will be brought on lease purchase basis. “The airline has one year to put its fleet together as its licence will expire in April 2018,” said the official. Normally, new airlines have to renew their permits every two years. Old airlines are exempt from this rule. The Cabinet had approved the Tourism Ministry’s proposal to grant an international licence to Dynamic Airlines in March 2010. It had been cleared for class B international license—flights lasting three-four hours. Dynamic lost its operating licence automatically under the terms of reference set by the government as it failed to bring aircraft within six months of acquiring it. The airline had cheated the government by depositing a bad cheque for Rs5 million at the Lazimpat branch of Everest Bank on February 12, 2010 as its security bond, and submitted the deposit slip to the ministry. Accordingly, the ministry issued the licence. It was discovered only after two years that the account held insufficient funds. Dynamic Airlines was also found to have been involved in a swindle in the United Arab Emirates (UAE). The airline, whose licence had already been cancelled by the government, cheated investor Sheikh Hamad Ali Jabor M AL-Thani of the UAE by selling 80 percent of its shares under a ‘foreign party’ share sales and purchase agreement. The fraud came to light after AL-Thani informally wrote to the ministry requesting an inquiry about the airline. The company had sold 4 million shares to AL-Thani. However, ministry officials said that the new promoters of the company were all clean. Meanwhile, Gorkha Airlines, which suspended operations in 2010, plans to operate two ERJ twin-engine regional jets produced by Embraer, a Brazilian aerospace company, and two Dornier aircraft in the domestic sector. The airline was established in 1996 with two Mi-17 helicopters and expanded to fixed-wing operations with Dornier aircraft. According to Tourism Ministry officials, the airline has signed a joint venture agreement with India’s Virgo Air.